Zindu Salih is currently the Director of Operations at Families Canada, overseeing the development and implementation of programs and projects. Before joining the Families Canada team, she had the pleasure of teaching project management at Fleming College, Peterborough. Her academic and professional background is in international development and project management and she brings over 10 years of experience in an international setting. 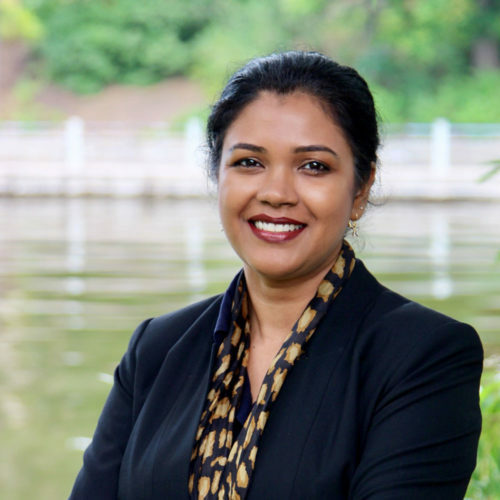 Before moving to Canada, she worked in the Maldives, Sri Lanka, India and East Timor with a focus on the areas of democratic governance, youth, and gender equality. In her career with the United Nations as a program specialist, Zindu has managed a wide variety of exciting community development and capacity building projects in areas such as human rights, access to justice, community development, public administration, elections, and civil society development. She also has training and extensive experience in Results Based Management (RBM) and Monitoring and Evaluation (M&E). She enjoys engaging with community partners and other stakeholders in steering projects to success. In addition to program and project management, Zindu has several years of experience working as a journalist and TV news anchor in the Maldives, bringing additional communication, writing, documenting and advocacy skills to the already strong Families Canada’s team. She holds a Bachelor’s degree in Social Anthropology from the University of Waikato, New Zealand and a Masters in International Development and Management from Lund University, Sweden. In her spare time Zindu enjoys reading, painting, going for long walks and watching TV in equal measure.